Finally, a break from planning an itinerary for the day. 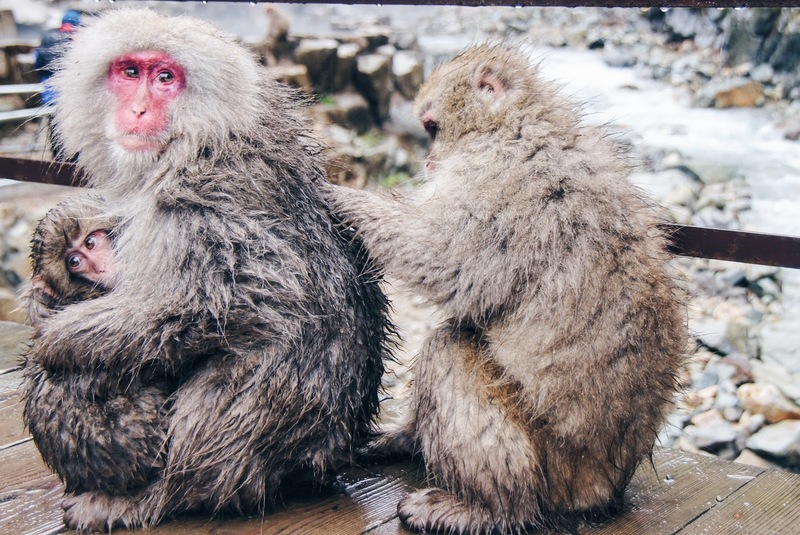 Dad pre-booked a day tour to the Nagano Prefecture where we would do some sightseeing and most importantly, see snow monkeys! 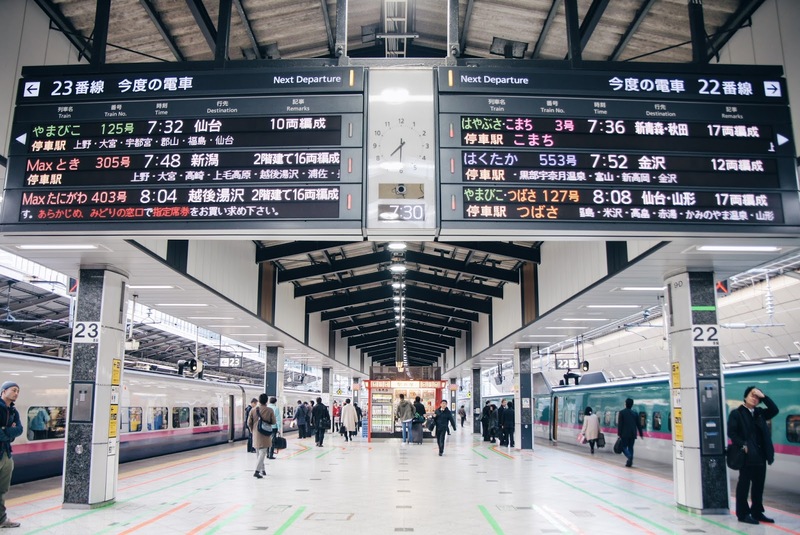 Our day started at about 7 in the morning, where we had to make our way to Tokyo station to catch the shinkansen to Nagano station. This is probably one of my favourite shots from the trip. 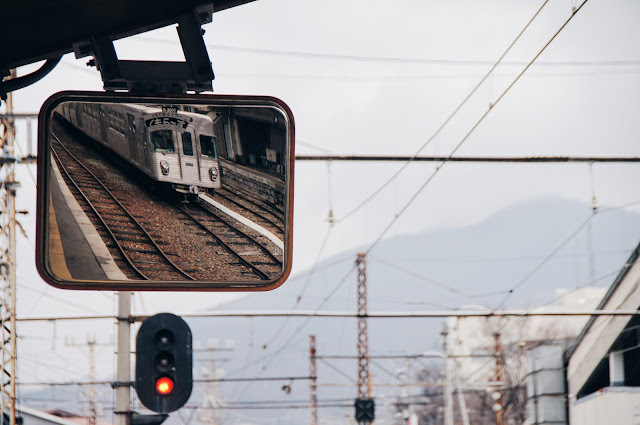 I love the symmetry and the photo just epitomises Tokyo as this bustling hub, where numerous commuters take the efficient subway system to work in the mornings and the speed of the bullet train shows how fast paced life is in the city. 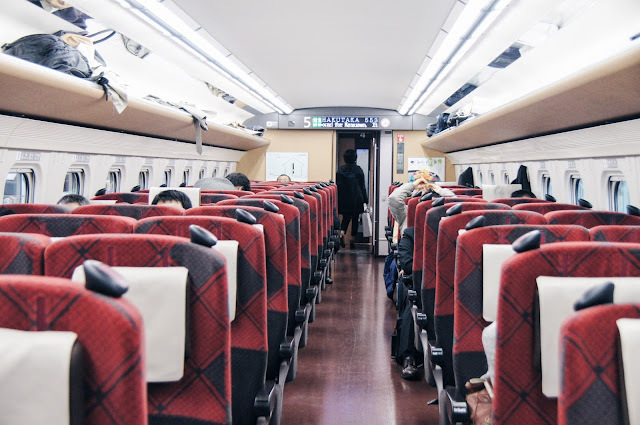 The shinkansen travels at 320km/h, and the inside looks and feels like you're in a plane. The journey took about an hour or so; or rather, my nap was an hour or so. 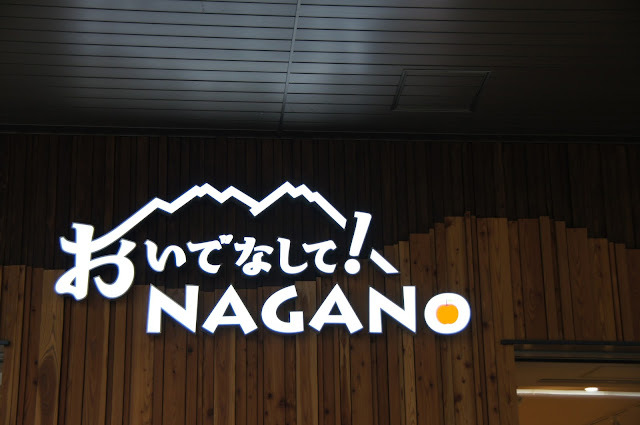 Once we reached Nagano station and stepped out of our carriage, our tour guide was waiting for us. I think she knew the carriage number we were in, and slowly, more people from our tour joined our little circle and we headed out of the platform for a quick debrief of today's itinerary. We boarded a bus that took us to our first stop - Zenko-ji Temple, which was only 10mins from Nagano station. 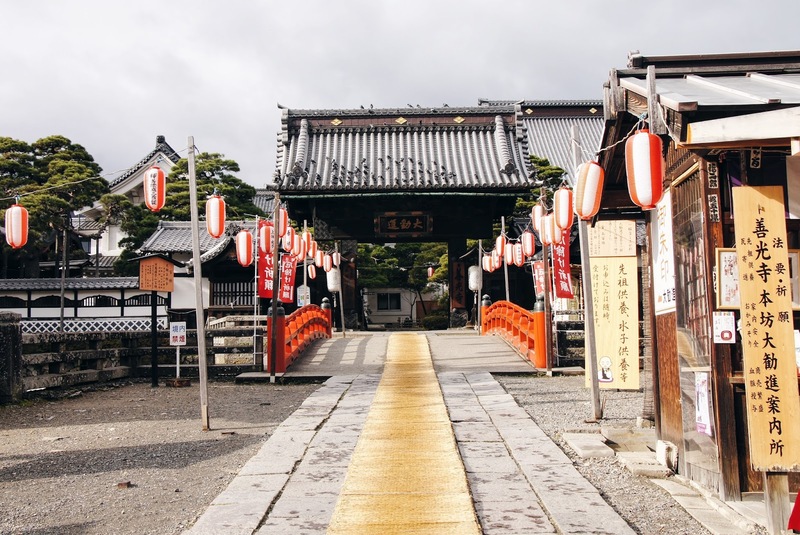 This is an iconic Buddhist temple as it is home to the first Buddhist statue that was ever brought into Japan when Buddhism was first introduced in the 6th century. This little animal is called a Mujina (racoon dog). Legend says that it felt extremely guilty about eating other animals to live. 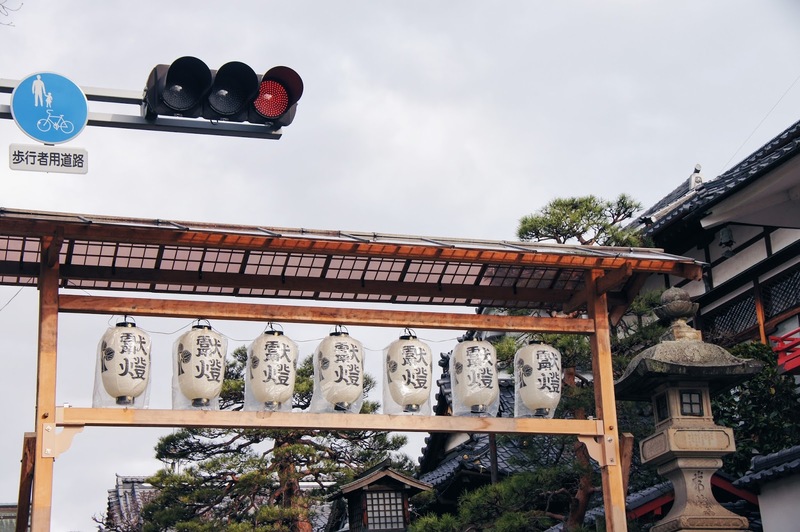 So, it changed itself into a man and joined a tour of worshippers going to Zenkoji Temple and wanted to dedicate a lantern to the temple. This lantern still remains on the west side of Hondo (the main hall). Apparently this statue is symbolic for its sombre meaning. This was a place where mothers who had lost their child would come and mourn. 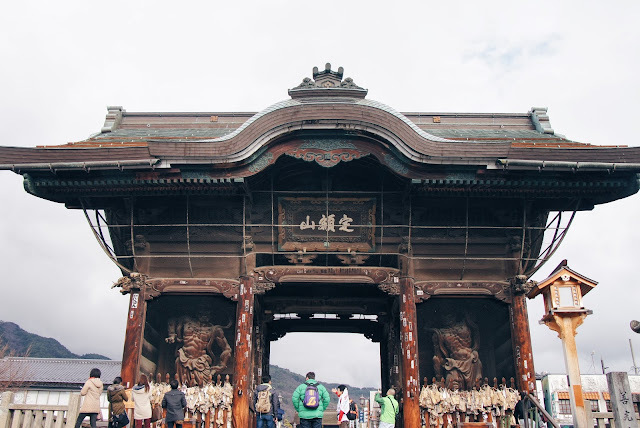 As you walk further in, you will approach the Niomon Gate which is the outer gate of the temple. There were a few things hung on the sides of the gate, but this particularly stood out to me. A pair of ballet shoes that could fit a six year old were tied onto the gate. They seemed overused, battered, and old. On the shoe it read a message in Japanese, dedicated to Sara on the 15th of August 2011. I think this little girl was a ballerina, her life short-lived and taken away from her loved ones at a young age. 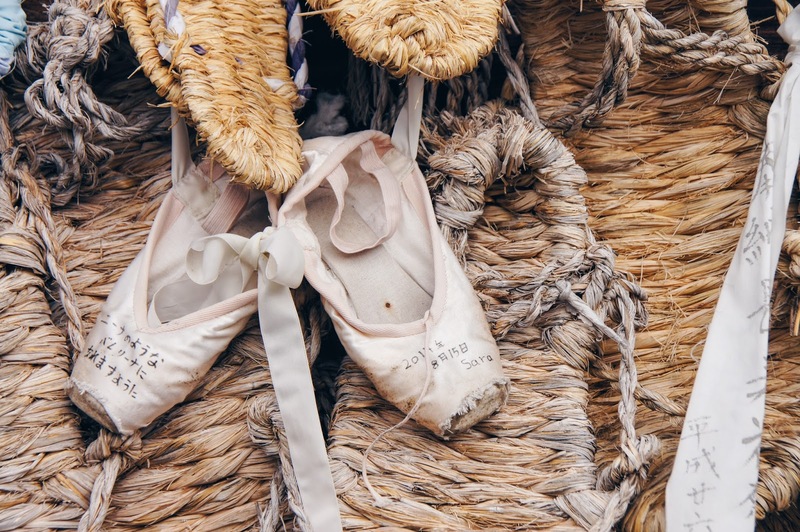 These pair of ballet shoes just goes to show that there is always grace and beauty in the wreckage. Taking photos in the temple itself was prohibited. It was very dim inside, with the slight glow coming from the light shining on the big Buddhist statue. 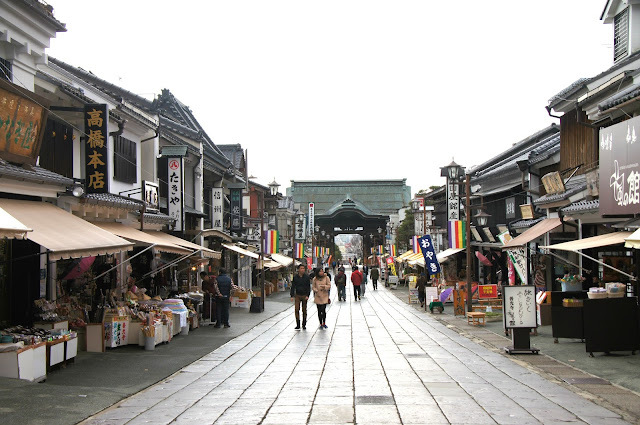 The temple grounds is home to a number of different monuments, as well as rows of shops that sell souvenirs, traditional items, snacks, and some fine cafes and restaurants. 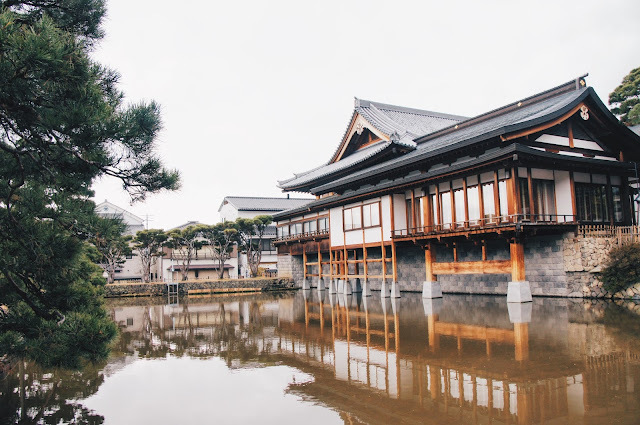 It was a nice and relaxing stroll with my camera, admiring the traditional sights that gave of a sense of tranquility and history. Lunch was provided by the tour, where the top floor of a small restaurant was booked out just for our group. The restaurant was nestled amongst these row of shops that are located within the temple grounds. 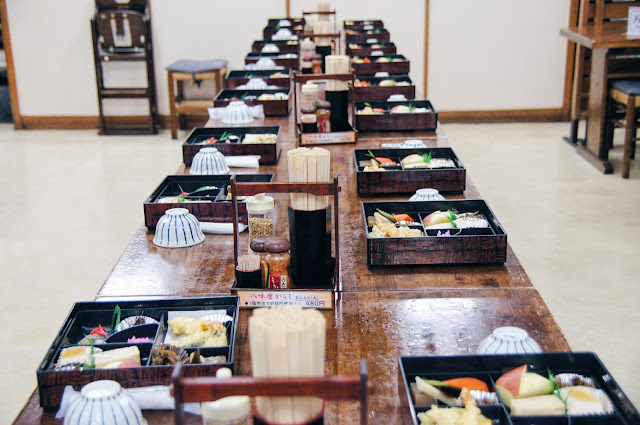 In fact, the restaurant was more like a shop that sold snacks and souvenirs, and they converted the upstairs to a dining area that served special bento meals. 11:15am was relatively early for lunch, so I wasn't too hungry. But when we walked in and saw this beautiful and colourful line of bento boxes that ran down the table like a table cloth, I couldn't resist just digging into it. 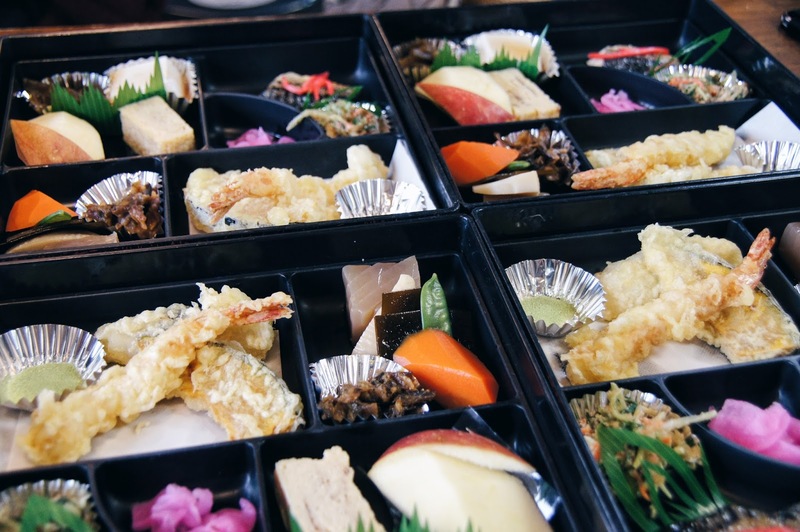 The bento was served with a bowl of rice and a bowl of udon, so me being full was mainly due to the overloading of carbs rather than these delicate looking pieces of food laying in the bento box. There was this tofu jelly thing that was as soft as a tofu, but has a thicker consistency than tofu, and tasted like soya milk. It was a weird combination, but I grew a liking towards it. We got to Zenkojishita station and was greeted with all sorts of paintings on the walls along the pathway that lead to the train tracks. The train took us to another station that looked just as old, but has an outdoor platform. 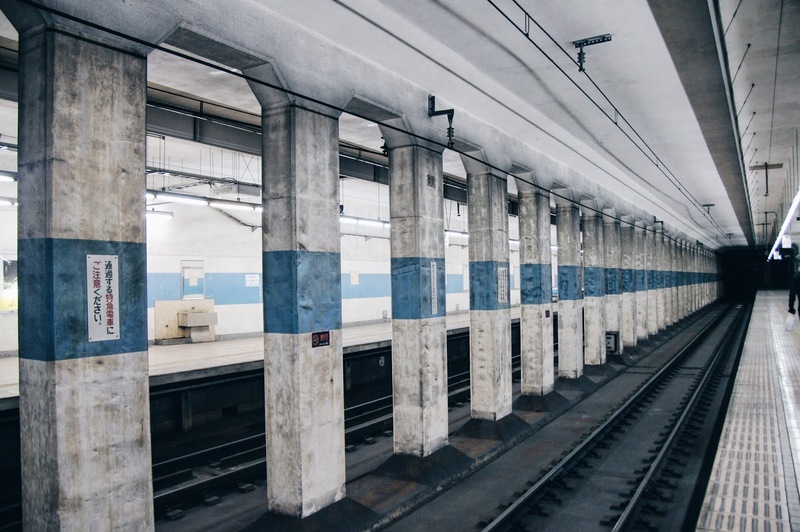 On one platform, old, steel, box-like trains slowly pulled into the platform. 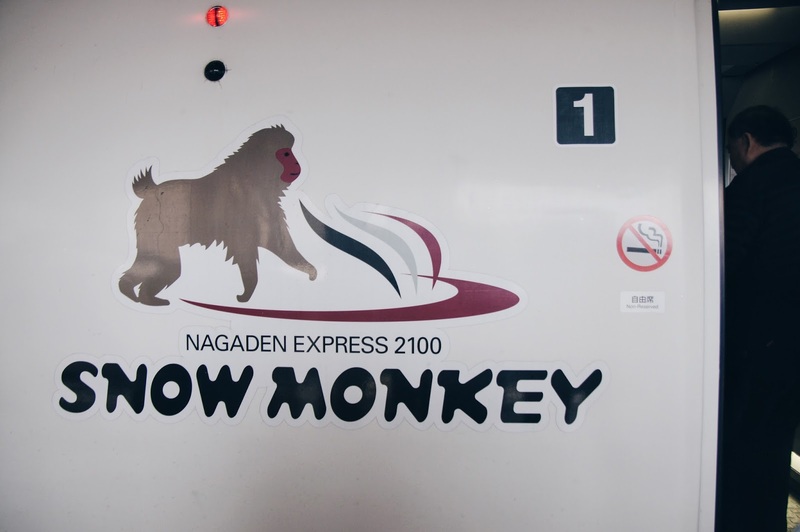 We didn't have to wait long before our modern Nagaden Express 2100 glided in on the other platform. 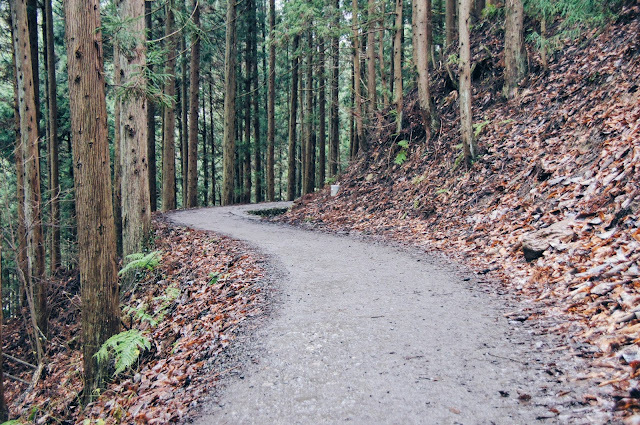 This would lead us to the final part of the tour which everyone is most excited about, to see some kawaii-as snow monkeys! Once we stepped out of the station, the rain downed upon us. 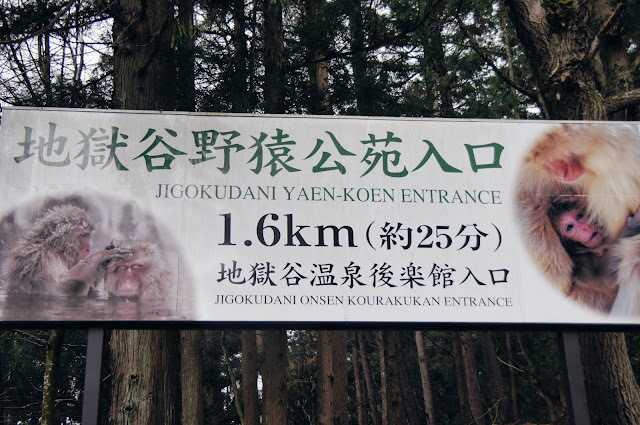 Fortunately, we had cabs waiting for us to take us to the entrance of the Jigokudani Monkey Park. 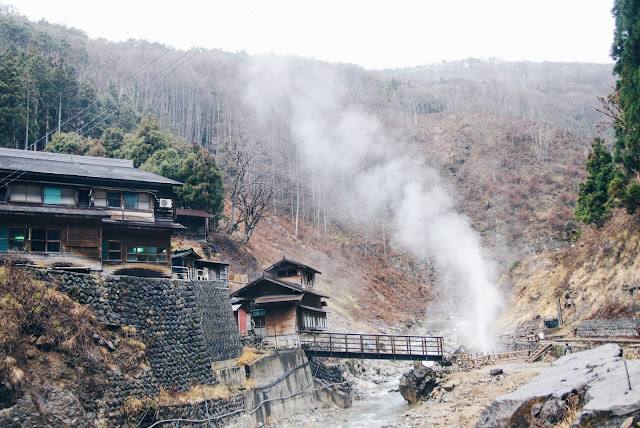 Here, numerous snow monkeys are free to roam around in the hot springs and visitors have the opportunity to come close to these furry creatures. The walk up to the hot springs took about half an hour, mainly because I kept stopping to take photos of the trail and its surrounding environment. When we finally got to the hot springs, a whole army of monkeys started charging towards our direction but luckily, they ignored our presence and continued going about their routine. They are so used to having people around, where human interaction will not stop them from playing around, climbing from one place to another, and cleaning each other. 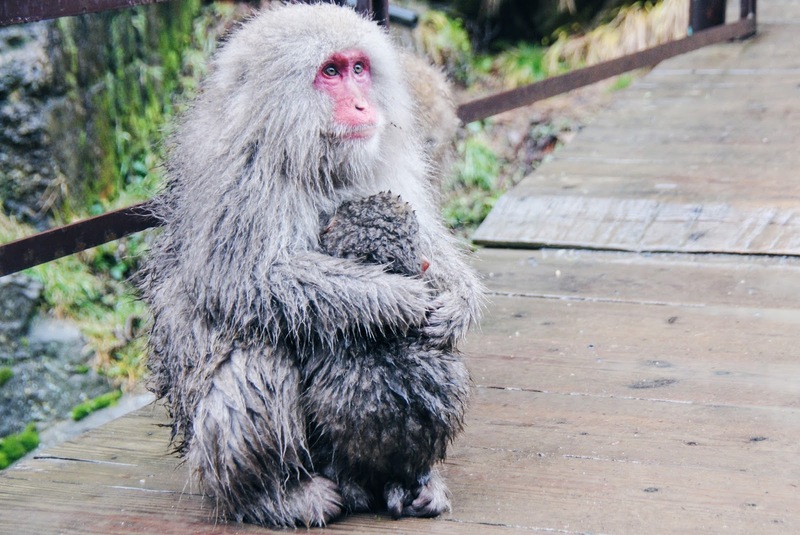 I just can't deal with how cute the baby snow monkeys are!! Ah, if only I got pocket one home. 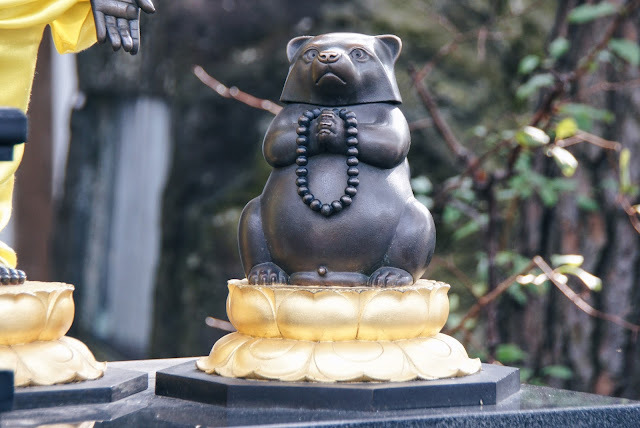 After about half an hour of standing in the rain, chasing monkeys around to get good footage, and constantly making sure water doesn't get into my camera, we had to bid farewell to the monkeys and make our way down the mountain. Only when we were leaving did the rain subside... but the experience was remarkable nonetheless. 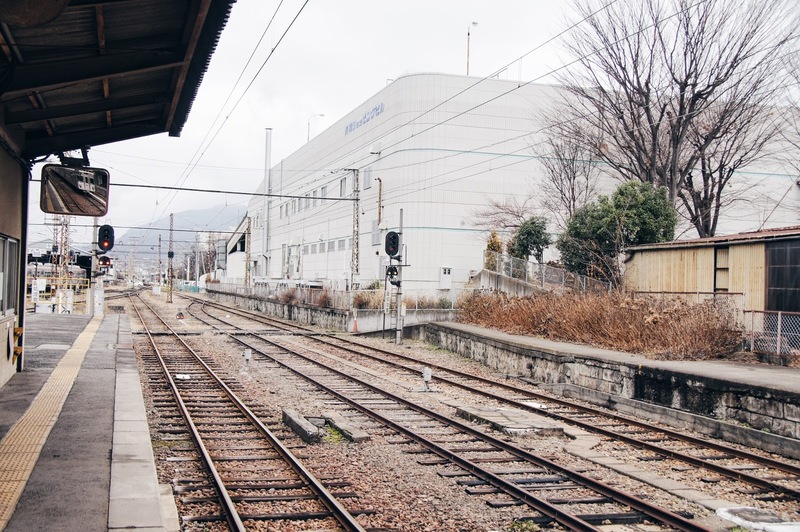 Our taxis were waiting for us at the entrance, and took us back to the station where we would board the shinkansen that would take us straight to Tokyo station. The bullet train stopped at limited stops, where businessmen boarded the train and continued working before they reached their destination. There is no doubt that the hardworking mentality is instilled in the Japanese. 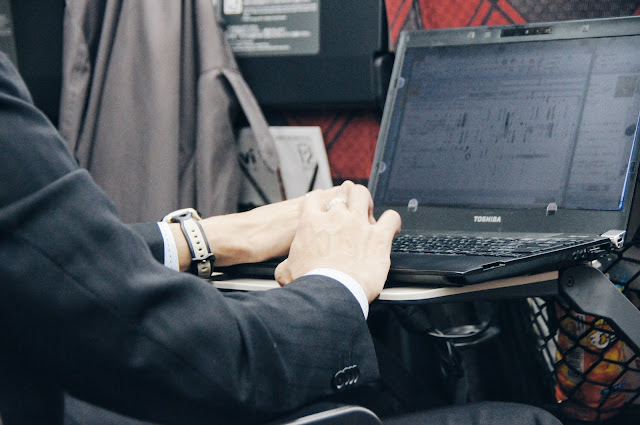 Once we reached Tokyo station, we headed back to Shibuya via the JR line. We took a quick rest at the hotel before venturing out into the Shibuya madness for dinner. My brother had a place in mind, but after spending about 15mins of walking back and forth (because Google maps can be pretty unreliable in this big city), we gave up. Unfortunately, but my brother still had high hopes. We asked several people for directions, but they were not much help. We spotted a delivery man so we decided to approach him thinking he would know all the nooks and crannies of Shibuya. We finally found the restaurant, situated on the second level of a shop lot. And, it was located right next to our hotel... Finally thinking we could eat, the restaurant told us they were fully booked out, and our only chance to dine in that night would be to come back in about an hour. Our tummies were too impatient to wait, so we decided to try something else. 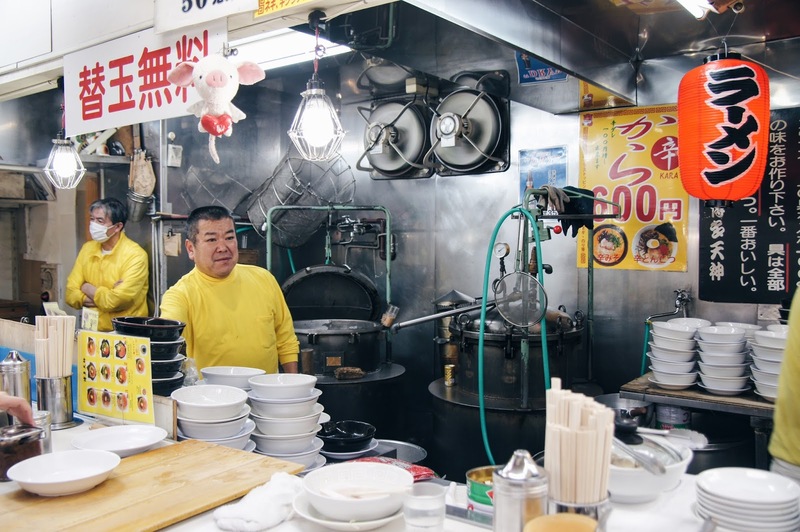 After all, there are innumerable amounts of eateries in Shibuya. We stumbled upon this outdoor shop that didn't have a proper entrance. A clear plastic sheet is used as its entrance, and the sheet is what separates the shop from the streets. 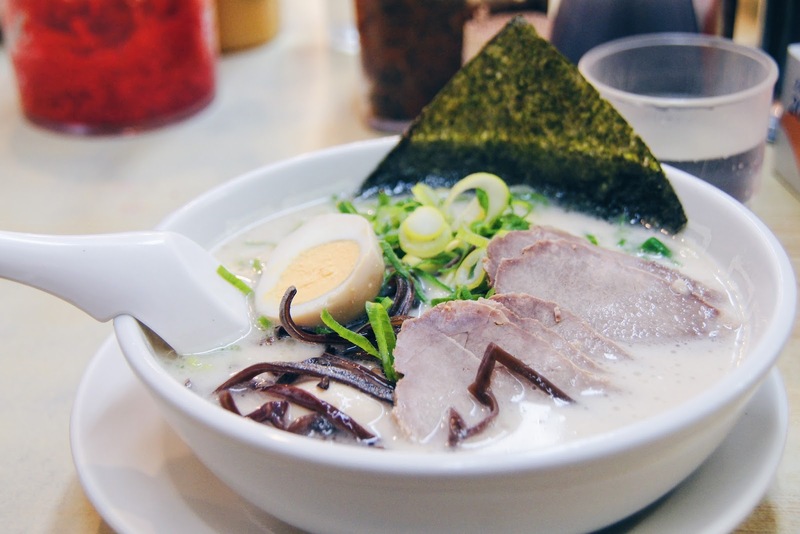 They served different kinds of ramen, so we had no choice but to order ramen. This ramen tasted different from the ramen we had eaten in so far in our trip. The noodles tasted like it was from a Chinese wanton noodle shop, and the egg was just a regular hard boiled egg, not an onsen egg. 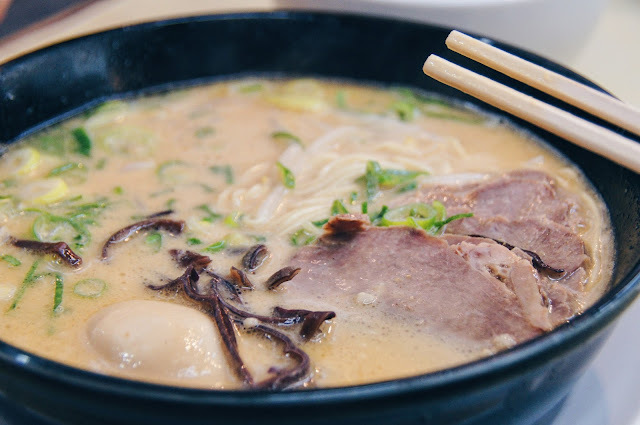 The broth was decent, but not as thick as I would've liked it. The meat was a little to the tough side, but it was edible so I wouldn't complain too much. My brother and I still had some space after our meal, so we decided to share a MOS burger near our hotel. 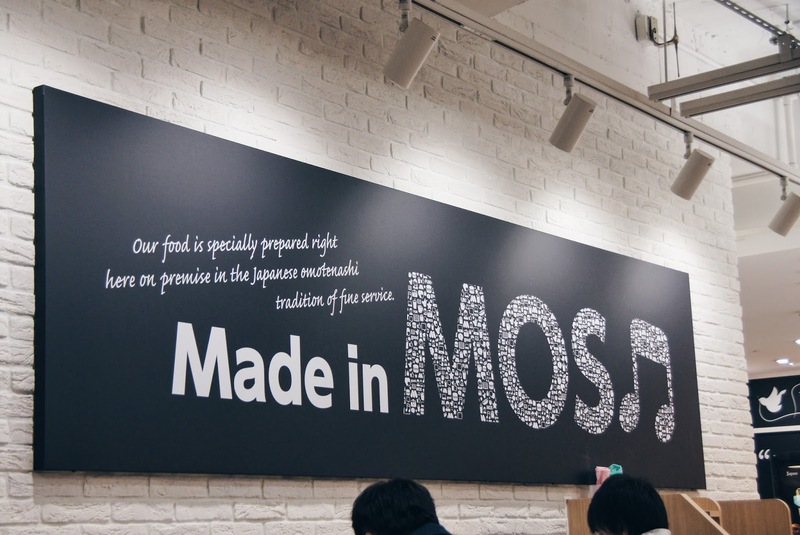 I actually don't think I had a MOS burger before, but my brother kept insisting it is a must-try here because MOS originated from Japan. 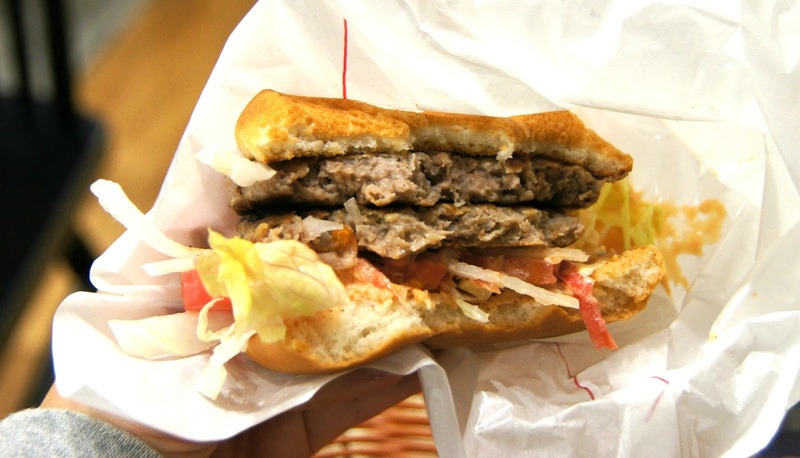 We ordered a traditional double patty beef burger with some sort of teriyaki sauce, which was about 500 yen. The patty was pretty juicy but it could've been more tasty. 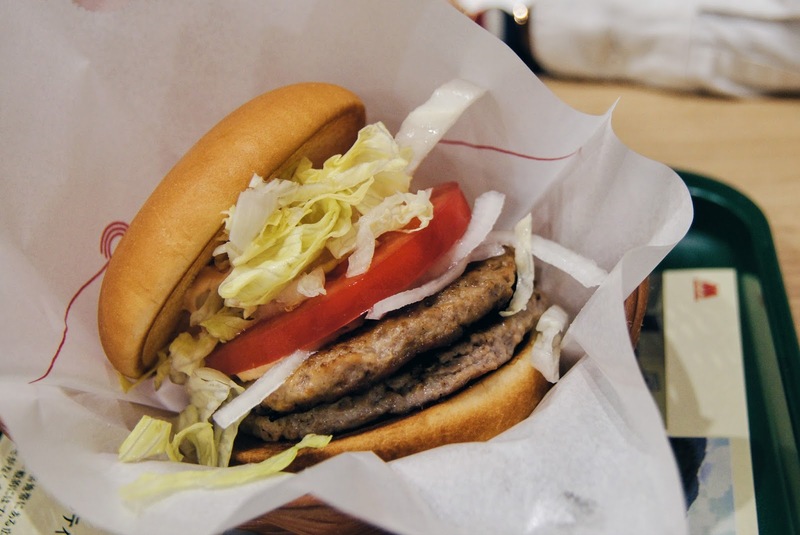 The texture of the bun however was perfectly fluffy and slightly toasted on the outside. I love how they were very generous with the lettuce, tomato, and onions, unlike McDonald's burgers.